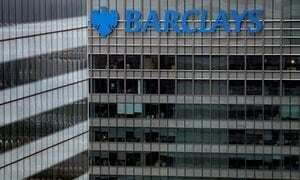 Barclays PLC and four former executives have been charged with conspiracy to commit fraud and the provision of unlawful financial assistance. The Serious Fraud Office charges come at the end of a five-year investigation and relate to the bank’s fundraising at the height of 2008’s financial crisis. Mr Varley, former senior investment banker Roger Jenkins, Thomas Kalaris, a former chief executive of Barclays’ wealth division, and Richard Boath, the ex-European head of financial institutions, have all been charged with conspiracy to commit fraud in the June 2008 capital raising. In addition, Mr Varley and Mr Jenkins have also been charged with the same offence in relation to the October 2008 capital raising and with providing unlawful financial assistance. Mr Jenkins will “vigorously defend” himself against the charges, his lawyer has told Reuters. “As one might expect in the challenging circumstances of 2008, Mr Jenkins sought and received both internal and external legal advice on each and every topic covered by the SFO’s accusations,” said Brad Kaufman from American firm Greenberg Traurig. At the time, Barclays raised billions of pounds from Qatar in a move that allowed the bank to avoid taking a taxpayer bailout. The SFO said the charges related to the two fundraisings the bank embarked on in June and October 2008 and a US$3bn (£2.3bn) loan to Qatar acting through the ministry of economy and finance in November 2008.